Governor Jennifer Granholm led Michigan during the toughest economic times since the Great Depression -- through auto bailouts and a global shift of manufacturing jobs. Through experience and stories, hear her perspective on how the nation can grow middle-class jobs when technology and globalization make it easy for jobs to move elsewhere. Are U.S. jobs more at risk as a result of robots or globalization? Will driverless cars put 3 million truck and passenger drivers out of work? Granholm talks about the automation economy, and the employment risks and opportunities of accelerating technology in America. In this talk, Granholm makes a rousing case for how electric driverless cars will lead to new industries, cleaner air, more mobility and a higher quality of life as commuters relax while in transit. Kicking off the TED conference, Jennifer Granholm asks a very American question with worldwide implications: How do we make more jobs? Her big idea: Invest in new alternative energy sources. Gov. 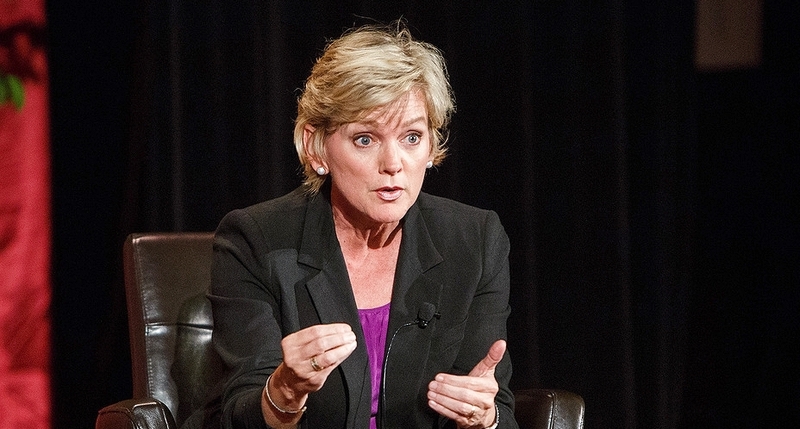 Jennifer Granholm led Michigan during the toughest economic times since the Great Depression -- through auto bailouts and a global shift of manufacturing jobs. Through her experience and stories, Granholm offers inspiring lessons on how to find opportunity and lead in the most challenging circumstances.